Vivek Oberoi has invented the expression that Neil Nitin Mukesh is adopting. The one of constipated anger. We will see large volumes of it in Zilla Ghaziabad, but for now, JKLS has him playing the role of a constipated bhai who takes dumps quite frequently. The comic relief is not bad at all! The short description of the movie is – Girl has tough time in big city. Girl moves into a flat next to bhai. Hence, the rented status – Bhadotri. Bhai has an acquired status – Padosi. Padosi is a nice guy, and comically continues to help Bhadotri – with the frequent “just joking re…. sense of humourous”. One thing leads to another, and bhai and bhabhi get together. Some complications and twists thrown in here and there, and you have JKLS. Girl has a back story with her Baapu’s expectations. Bhai has side story with Big Bhai’s promises, Altaf bhai played by Zakir. Most likely, someone wrote a lot of funny mumbaiyaa dialogues and one liners, and then created a set of scenes around them. ‘That’, finally, led to a movie. Not a dream sequence, this one! The plotline is wafer thin, but the acting and quips keep it together. Naseer, Zakir, Vivek Oberoi are the ones that keep things fun. Though, watching Naseer play a buffon rival gangsta/cop Alex Pandian (which by the way is a 2013 Tamil movie’s name as well). Alex Pandian’s fascination with bollywood is intentionally funny though, unlike the bulk of the movie. Neha Sharma, the bhadotri, does her bit by wearing fine and few clothes in a small time locality, living next to a supposed bhai, thereby creating unintentional hilarity. Surprisingly, she does not create any sense of awkwardness in the locality, or in the minds of a really conservative father who’s scared of sending her daughter to a big city, lives about 4 hours away from Mumbai, in a coastal city and pool-based-properties. Alibagh, you think? Main kya tere ko alibagh se aayela lagta hai? 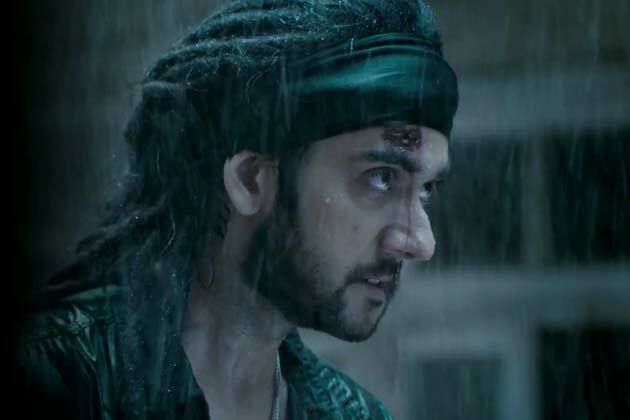 Some of the dialogues are hilarious – the Umrao Jaan reference while beating up a guy, the dig on Indian jails – when JB mentions that he graduated from IJU – Indian Jail University, because udhar bahut type ke English binglish bolne wale log aate, is a witty one. The movie has a Hotel Decent equivalent of Night Lovers as well. The flow of sequences has no bearing whatsoever to whatever narrative storytelling might be all about, assuming the Director read the script, assuming there was a script, assuming script matters. Most set-piece scenarios are ludicrous. Thankfully, the movie ends while your patience with the chewing gum may still not be exhausted. Couple of songs are decent, though with sub-zero relevance to the movie. The high point is Vivek Oberoi, which itself serves as a warning for a movie, usually. But honestly, he is quite decent. As decent as a constipated man can be a not so well ventilated room. The lady looks pretty. And is just about better than being a complete washout in the acting department. She is somewhat better than a fashion street top that fades on the first wash.
Short of it all – watch it on TV. You may actually like it. This one was a 2 on 5 for me. David ke do aage David. David ke do peeche David. Aage David. Peeche David. Bolo kitne David. 3 David! Correct. As you all know, David has 3 Davids.. And as you an guess, they do have a linkage somewhere. Otherwise, it’d be a lame idea to make a movie named David, right? Davidar? Gower? Fincher? Schwimmer? No. Just David. Make it 30 minutes shorter, cut down Monica Dogra’s and Lara Dutta’s presence, and tighten a few scenes. That’s all that David needs to be transmogrified into “Great Cinema”. At the beginning of the movie, all three Davids are at the cusp of a life changing action. A scene that we see at least thrice in the movie. 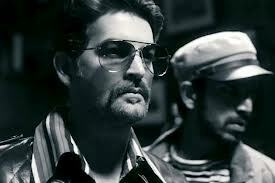 The first David is a perennially constipated Neil Nitin Mukesh. Since it is expected that he, having lost his father, would be a grumpy young man, his constipation is a disguised strength actually. Like that tweezer trick of Joey Tribbiani (FRIENDS). The second David (Vikram Virmani) is a hippie, who is so genuinely nice and all that you start wondering what exactly can go wrong with such a nice guy who doesn’t even have a girlfriend. The third David is a loony Chiyan Vikram. His (lack of) hindi skills don’t hurt him because of three reasons – he is a Christian (since independence, we have given Indian Christians the responsibility of speaking Hindi like leftover Brits would), he is in Goa (so speaking native hindi would be very unoriginal, a fact that is not applicable to the other born and brought up in London desi David), and he is, in reality, a Tamil speaking superstar who was last seen in Ravana (after Ravana, one can forgive anyone anything). Previous commentary withstanding, the third David track is the most interesting, with Saurabh Shukla adding a zing to the proceedings. Tabu waltzes in and out of this act and is brilliant in her role. Vikram himself is not bad at all. The supposed weak link of the story, Isha Sharvani, playes a deaf and mute character, looks ethereally beautiful, and has but a few expressions to take care of. The lady that plays Vikram’s mother is another piece of brilliant furniture in this large well lit room. The lighthouse symphony is a beautiful composition. AND, the constant ear trick is funny, a trait of the seafaring fishermen, I believe. The first track, shot completely in black and white is reasonably tight. Though one wonders why Milind Soman is there to waste screen time. And Monica Dogra flirts and bites, but with little effect, and lots of boredom. Rekha Bhardwaj’s O Laal Meri filmed on Sarika is a nice touch, especially with the merging into the rock version. This is also the track where everyone seems to be wearing black or white, despite the shots being done in Black and White. Ah. Those were the days. Why waste on color when it has to be colorless. The second track, the hippie track is the most disconnected track from the movie. If my opinions were counted for, I’d have asked Bejoy Saar to take it out, and focus on the other two. Nothing against Virmani though. Maybe, he was required for continuity, but I’d have figured out something else. But then, why waste 5-10 minutes on Lara Dutta and general sop. Moreover, since with the exception of the second track itself, the timelines don’t really have an impact on the proceedings. the 2011 story of Goan David could have happened in 1999 or 1973 as well. I hope I got the years right. I was too bored to remember such details by the end of the movie. Bejoy Nambiar has got his casting quite right, I must say. Except Monica Dogra. Actually, her existence in the movie is not quite unjustified, but the length of her role is. In a movie of Davids, she is the real David turning everyone else into Goliath. The detailing is quite nice too. Like, the David2 getting pager based messages. Or, people talking about the cost of bullets in 1973. Soundtrack is praiseworthy . Very different, and very versatile, which is explained by the fact that there were 15 composers involved. David, however, should have been cut down brutally by a good editor. Anurag Kashyap has been missed on this venture. I have been told that the Tamil version has only two stories. I think something like that should have been done for the Hindi version too. The end is quite well done. 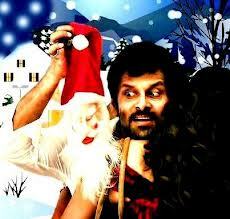 And Vikram’s Satku Santa is an idea that I’d love to take up some day. So much for secret Santa. The movie is experimental, and well conceived. But not that well executed. And given the flavor of the season, executions should come easy, right? Rating – 2 on 5.